In the last few months we’ve disbursed “mini-grants” and “rapid response” funds to help our coordinators respond to quickly changing events, drafted sample letters to the editor, and created easy-to-share graphics to help them get their messages out. But we’ve also worked hard to bring these coordinators’ perspective to the national coalition, ensuring that national messaging and strategy include women’s voices, particularly women of color, low-income women, and members of the LGBTQ community. We’ve had setbacks, such as when the U.S. House of Representatives narrowly passed its Trumpcare package to gut Medicaid and eliminate the ACA’s affordability measures and consumer protections, putting the health of millions of women at risk. And we’ve had enormous victories, as when the Senate narrowly defeated its own ACA repeal in a dramatic late-night vote. But one thing has remained constant: Our work hasn’t let up! Now, some Republicans are pushing for bipartisan legislation to stabilize insurance markets following the Senate’s July vote, some are still pursuing a partisan-only sabotage and repeal strategy, and some are hoping to cut health care for poor and middle class families to pay for tax cuts for the wealthy as part of a “tax reform” bill in the fall. It’s clear that ACA and Medicaid defense will continue to be a big part of our work for the rest of this Congress. Led by NWHN’s policy fellow, Caila Brander, we spent the summer highlighting for women how Big Pharma successfully changed osteoporosis’ definition in the 1990s and manipulated screening protocols in order to drive sales of its blockbuster drugs. We also shared good information about what women can do at home to prevent falls and fractures. Look for more about osteoporosis in upcoming issues of The Women’s Health Activist, and check out the conversation on osteoporosis between Caila and NWHN Executive Director Cindy Pearson, available under “Videos” on www.facebook.com/TheNWHN. When a drug or device is submitted to the FDA, it undergoes a meticulous review process whereby scientists analyze data to determine if the product is both safe and effective in doing what it is supposed to do. All medical products pose some risk, so reviewers weigh those risks against the clinical benefit to decide if one should be approved. This underscores why off-label promotion can be so dangerous: a drug that poses moderate to serious risk is more likely to be approved for a serious illness like cancer as opposed to a non-life threatening ailment. The drug’s intended use directly shapes the risk-benefit relationship. But, as Caila notes in her piece, neither these concerns nor the well-documented harms that resulted from previous marketing for unapproved uses “have stopped drug and device makers from arguing that they have a First Amendment right—as long as they are ‘truthful and non-misleading’—in promoting products for uses that have never been proven safe and effective.” In fact, the First Amendment argument promoted by the pharmaceutical industry is part of a larger, cross-industry attack on public health and safety regulations. Visit our website for the rest of the piece! A chief focus for our policy team this year has been developing a plan to shore up public support for science over politics, in advance of the FDA considering multiple products for women’s sexual health. In the 2000s, FDA staff were pressured to reject an over-the-counter (OTC) application for emergency contraception for political reasons, even though the application would otherwise have been approved. It took 3,713 days to correct that mistake. Now, the conditions that led FDA staff to allow politics to override science exist again: an administration that censors government websites, denies scientific facts, and appoints anti-family planning advocates to official positions. 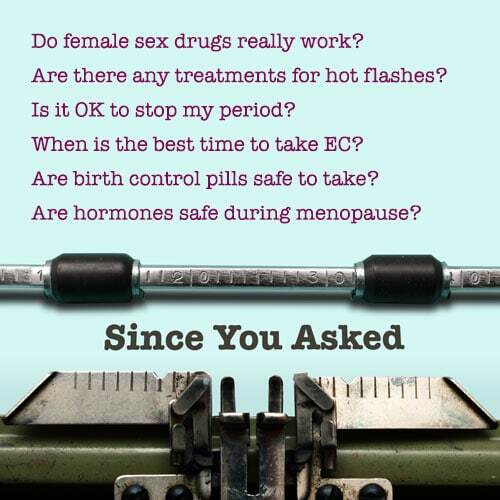 Without strong and visible support for evidence-based decision-making at the FDA, from policymakers as well as the general public, efforts to get FDA approval for an OTC oral contraceptive or to remove unnecessary restrictions on medication abortion are likely to face the same fate as OTC emergency contraception. To keep that from happening again, we are seeing to build visible support for evidence-based decision-making at the FDA from policymakers, organizations outside the reproductive health field, and the general public. 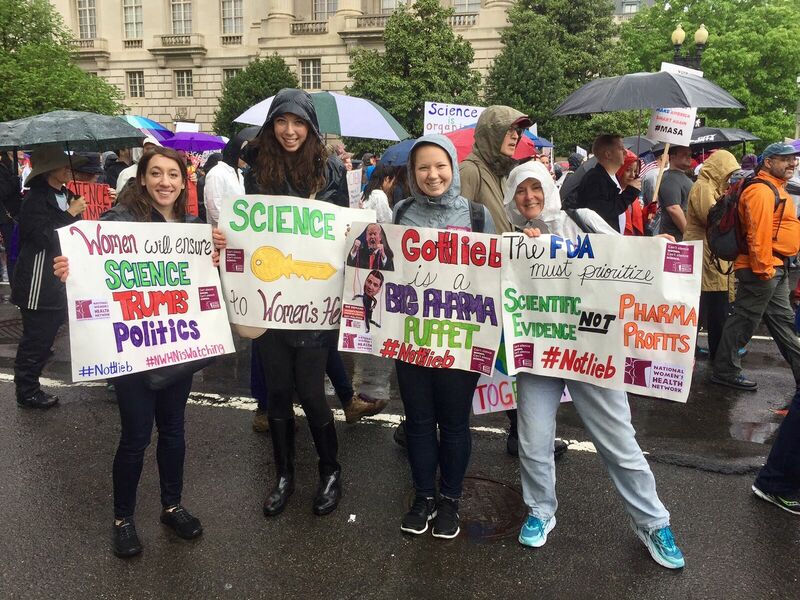 Our participation in the March for Science (see photo) was one effort to speak out about the relationship between science and women’s health.